You don’t have to go to costly, surgical lengths to improve the quality, tightness, and tone of your skin. With a PDO Thread Lift, patients can get the results they want without the pain and time downtime that they don’t. Beauty & Wellness MedSpa prides itself on providing patients with high-quality, minimally invasive aesthetic treatments. If you’d like more information about our practice or any of the services we offer, contact us today. PDO thread lifting is an effective, minimally invasive way to lift and tighten sagging skin without the need for surgery or extended downtime. This treatment works by inserting threads made of polydioxanone (PDS) into the skin. These threads are then tightened and pulled it back, lifting the face and stimulating the creation of newer, younger looking skin tissue. Over a period of 2-6 months after treatment, the skin gradually becomes tighter, more toned, and more luminous. While a traditional facelift can provide similar results, the PDO thread lift is less expense and features a significantly shorter period of downtime. What are the Benefits of a PDO Thread Lift? 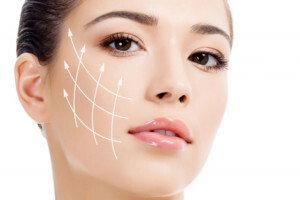 A PDO thread lift is one of the safest, most effective facial rejuvenation and tightening treatments available today. It lifts and tightens sagging skin, reduces facial roundness, and can be used to expertly sculpt a defined facial contour. A PDO thread lift can do virtually everything a traditional facelift can, without the associated downtime and cost. The results are long lasting, often persisting between 8 months and 2 years after treatment depending upon the extent of treatment and the patient’s metabolism. When you undergo a PDO thread lift, you can also take comfort in knowing that you’re undergoing a procedure that is extremely safe. This type of thread has over a decade long safety record in surgery and wound closure and triggers a minimal inflammatory reaction. Before the threads are inserted into your skin, a local anesthetic is used on the treatment area to make the procedure more comfortable and tolerable. Once the treatment area has been thoroughly numbed, the PDS thread is inserted into the skin using a microneedle. Typically, patients experience facial numbness for a few hours after treatment. While the downtime is only a few days, patients see their appearance improve over a 2-6 month period.